Product Overview: This On-Q single-gang wall bracket is designed to accommodate in-wall low voltage electronic devices and terminals. It has two pre-mounted nails for use with new construction only. The bracket has molded-in reinforcement ribs to minimizing the racking caused by irregular drywall openings. 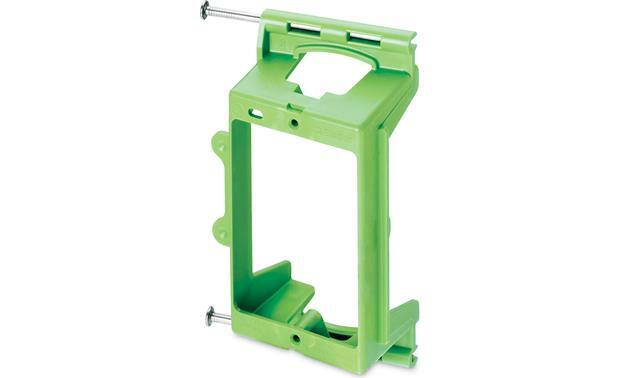 Box Dimensions: This single-gang wall bracket is 4" high, 2" wide, and 1.5" deep. Searches related to the On-Q Single-gang Bracket for New Construction .